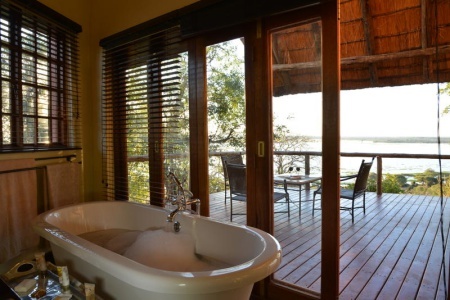 Muchenje Safari Lodge is located in the Chobe Forest Reserve, bordering the remote Western side of the Chobe National Park, Botswana. 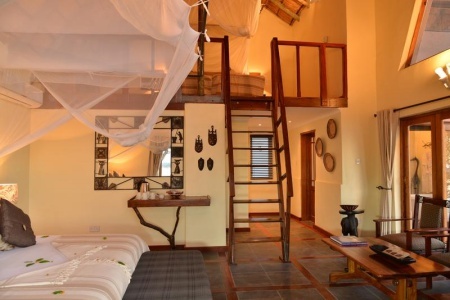 This is an owner run lodge offering a homely relaxed stay. Only 20 guests are accommodated at a time, ensuring personal attention. 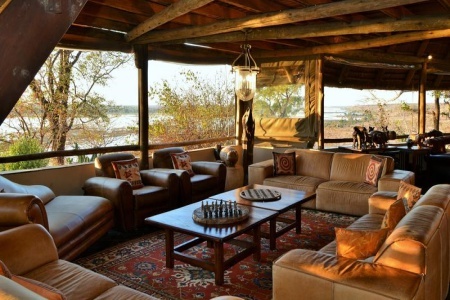 The main lodge features a dining area, bar, reception, curio shop, game viewing platform and library. The swimming pool is built amongst natural rock formations offering a cool relaxing way to lazy away any day in true African style. 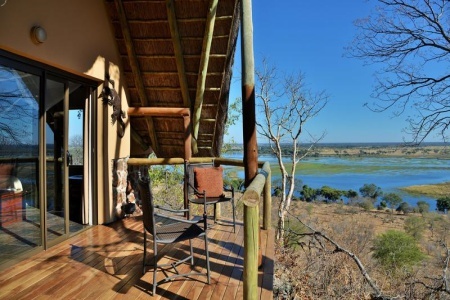 There are 10 air-conditioned thatched en suite chalets plus a honeymoon/family room built to offer lovely views of the Chobe River and Caprivi floodplain. Each room is private with a verandah. All chalets have shaver sockets, 24-hour power, fans and a double hand-basin. 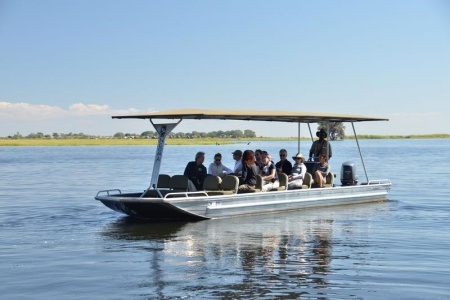 Muchenje offers visitors an all inclusive bush holiday, where you will enjoy game drives into Chobe National Park, guided walks with professional rangers, sunset cruises on the Chobe River, as well as a taste of Botswana culture. 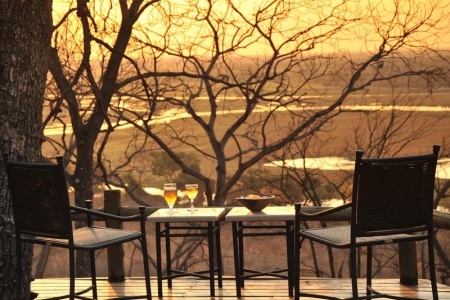 With no fence lines between Chobe Forest Reserve and Chobe National Park, game can traverse freely. There are over 450 species of birds and 75 species of mammals, including lion, elephant, leopard, buffalo, giraffe, zebra, and sable to mention the most popular. 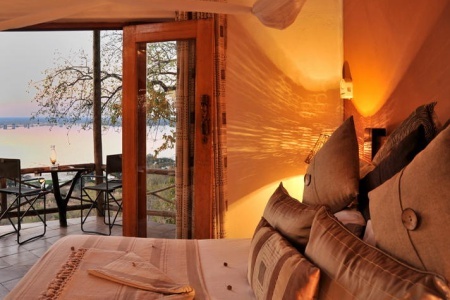 Chobe is famous for its large herds of elephant and buffalo. 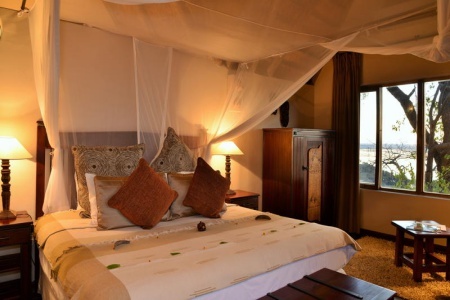 This is an ideal breakaway for couples and honeymooners. Only families with children over the age of 12 years are accepted. A visit to Muchenje can easily be combined with a visit to the Victoria Falls, only 2 hours away. 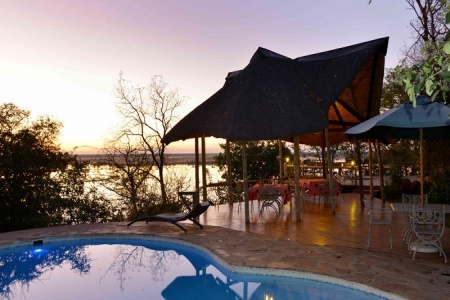 Access is easy with flights from Johannesburg to either Kasane (closest town) or via Victoria Falls. 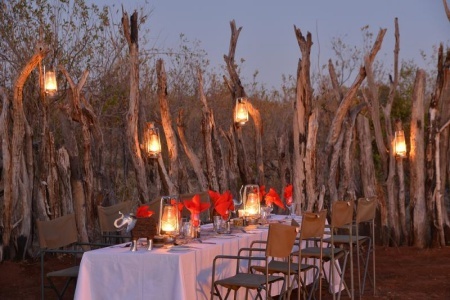 Please contact us for advice when planning your African safari. Botswana is a malaria area and we suggest you contact your doctor for recommended prophylactics.